Bargrooves is possibly a compilation series for the truly discerning house music lover. Defined by carefully-curated tracklists and programmed DJ mixes, this latest instalment from Bargrooves features a collection of soulful and laidback house grooves. 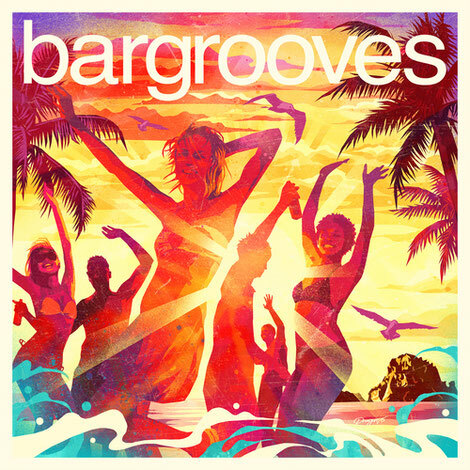 ‘Bargrooves Ibiza 2017’ is an extended collection of over 30 tracks and two full-length DJ mixes made up of contemporary house music such as Midland’s ‘Final Credits’, the latest Dr Packer remix of ‘Lola’s Theme Recut’ by The Shapeshifters and Soul Clap’s ‘Shine (This Is It)’ mixed by Hot Toddy. Also included is ‘When U Go’ from Girls Of The Internet and the disco-infused ‘Love On Hold’ by Aeroplane featuring Tawatha Agee. Complementing these fresh cuts are a carefully chosen selection of classic tracks like Marc Evans’ ‘Given Me Joy’ (Muthafunkaz 12” Mix) and Soul Central ‘Strings Of Life’ (Funky Lowlives Mix). Rarer gems like ‘Do It Good’ from Sísý Ey and Fusion Groove Orchestra featuring Steve Lucas ‘If Only I Could’ (Liem Remix) plus productions from Dennis Ferrer, Osunlade, FCL and Blaze should signpost quality to any knowledgeable house music fan. Whether mid-tempo or upbeat, vocal or instrumental, an infectious, smooth groove is the common thread that ties together each track on the compilation.